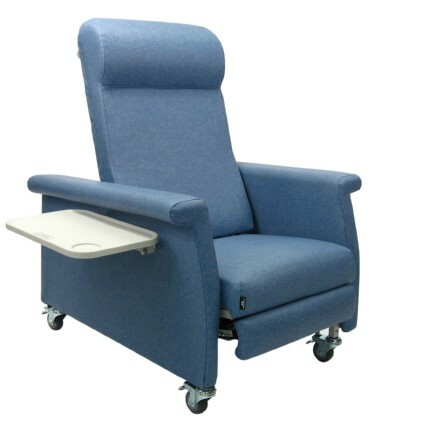 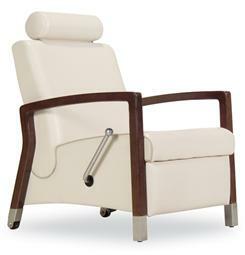 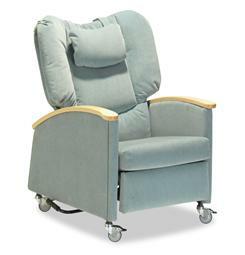 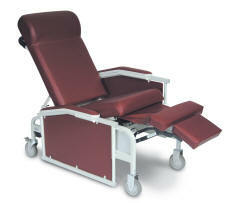 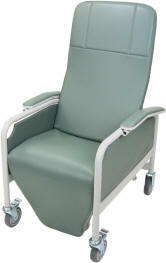 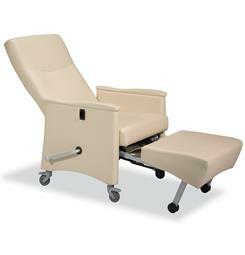 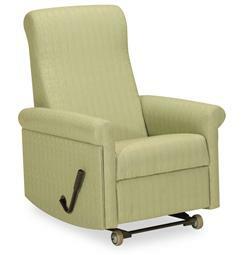 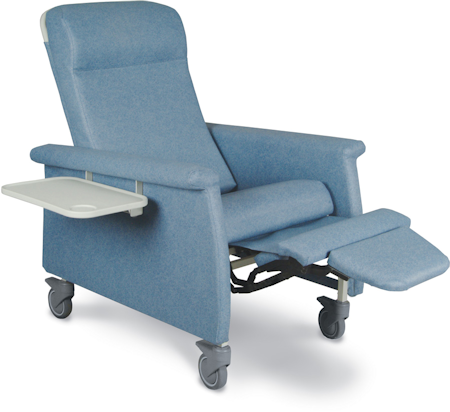 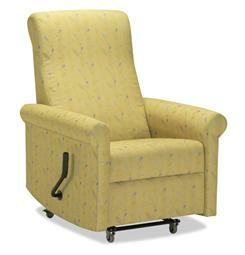 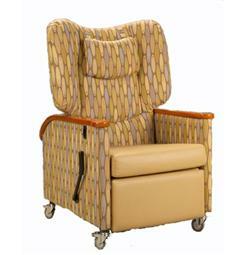 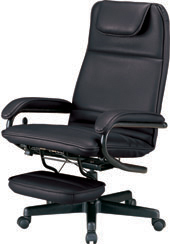 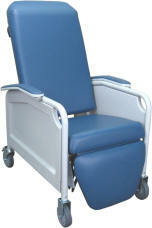 Below you'll find our vast selection of professional, healthcare quality recliners! 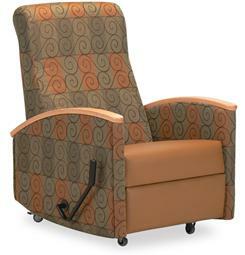 Browse through the categories to find the recliner that's right for you, then click on the picture to view the specs for that recliner! 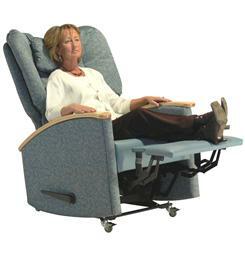 These recilners operate in the traditional method of pushing against the arms to recline. 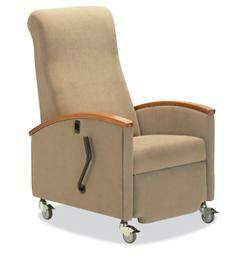 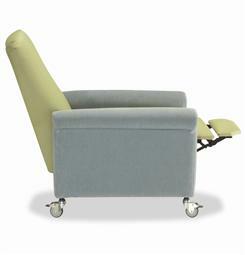 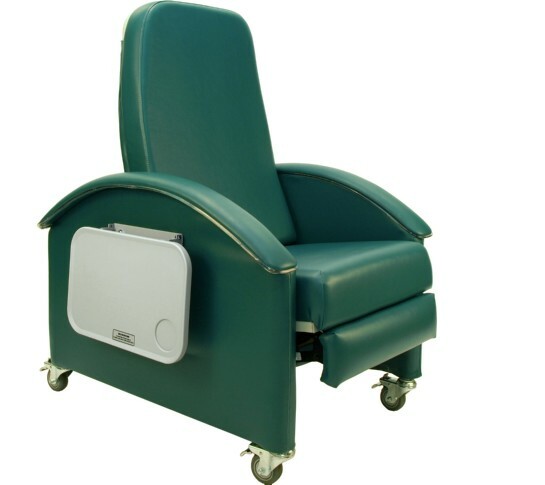 Glides in the upright position but automatically stops when reclined! 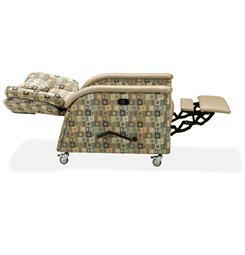 Dual control mechanisms (one for the foot raise, one for the back) allow the back to be stopped in infinite positions! 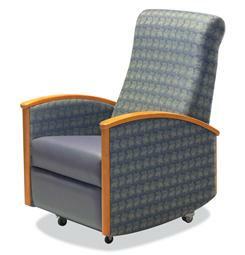 Perfect for maternity patient rooms! 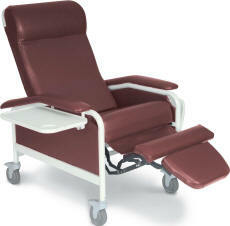 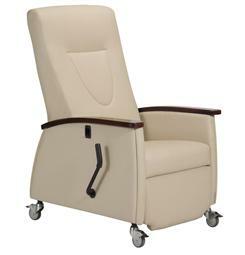 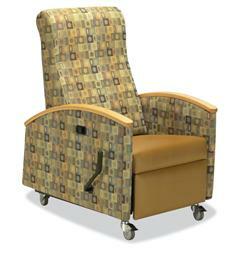 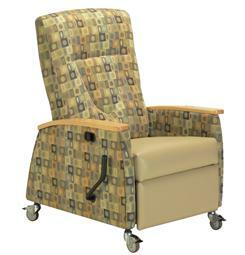 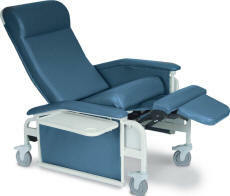 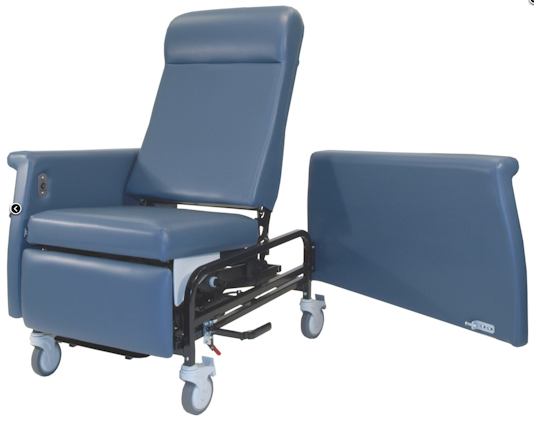 if you've ever been the overnight guest of a hospital patient, you know how necessary a sleeper recliner is! 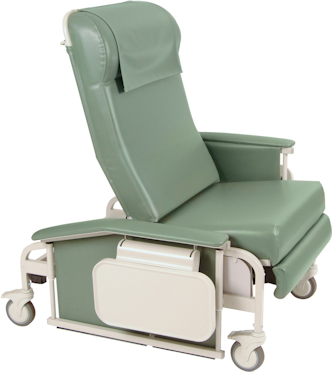 Our stylish recliners with trendelenburg positioning! 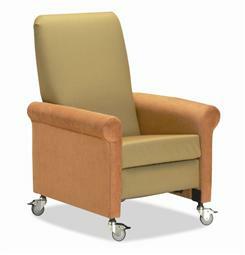 Great for rooms with limited space or those without chair rails! 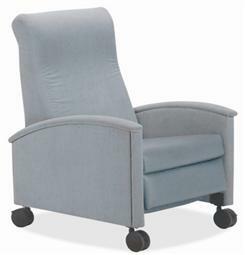 Perfect if you're short on space or used as a day chair but most of all, they're just so darn cute! 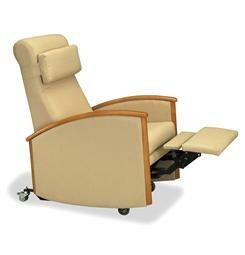 If you're looking for something more patient care oriented, we have a great selection! 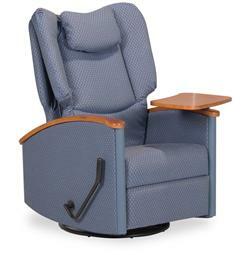 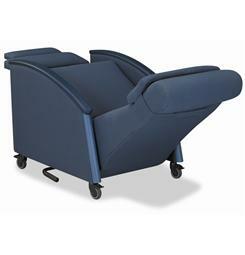 Recliners intended primarily for long term care settings.